Vascular risk factors have been linked to cognitive decline and dementia in the elderly. Microvascular inflammation, especially of the endothelium, may contribute to the progression of neurodegenerative events in Alzheimer’s disease (AD). Memantine, an uncompetitive N-methyl-d-aspartate (NMDA) receptor antagonist, is a licensed drug used for the treatment of moderate to severe AD. However, little information is available regarding its anti-inflammatory effects on the endothelium. 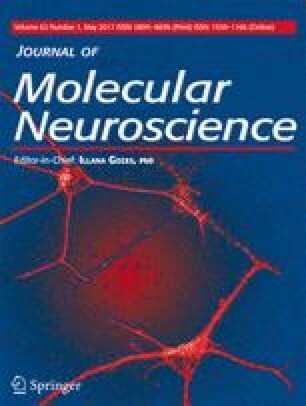 In this study, we investigated the effects of memantine on human brain microvascular endothelial dysfunction induced by the pro-inflammatory cytokine tumor necrosis factor-α (TNF-α). Our results show that memantine prevents the attachment of monocyte THP-1 cells to human brain microvascular endothelial cells (HBMVEs). An in vitro BBB model experiment displayed that memantine could rescue TNF-α-induced disruption of the in vitro BBB model. In addition, memantine also interferes with monocyte transmigration across the BBB model. Our results indicate that TNF-α significantly increased the expression of cell adhesion molecules, such as ICAM-1, VCAM-1, and E-selectin, which was prevented by pretreatment with memantine. Mechanistically, memantine reversed activation of the transcription factor NF-κB by preventing the phosphorylation and degradation of its inhibitor IκBα. Our data is the first to describe a novel anti-inflammatory mechanism driven by the endothelial cell-mediated neuroprotective effects of memantine. The online version of this article (doi: 10.1007/s12031-017-0917-x) contains supplementary material, which is available to authorized users. This work was supported by the National Natural Science Foundation of China (No. 81260182, 81560206) and Natural Science Foundation of Yunnan Province (No. FB2016121).